The 2018 Jaguar F-PACE has arrived at Jaguar Colorado! This luxury performance SUV is perfect for anyone looking for exquisite handling, efficiency, stylish interior and exterior, practicality, space, and plenty of great features. The new F-PACE comes in five different trim levels. These range from the F-PACE (MSRP $42,065), to the F-PACE Prestige (MSRP $49,125), and finally to the F-PACE S (MSRP $59,775). There are a few different engine types to go with the various trim levels of the F-PACE. Jaguar recently introduced their Ingenium engines which are intelligently designed for effortless performance. These engines are the Ingenium 2.0L Gasoline Engine (turbocharged 247-hp) and the Ingenium 2.0L turbocharged Diesel engine. Another option is the 3.0L supercharged V6 engine available on some trim levels. 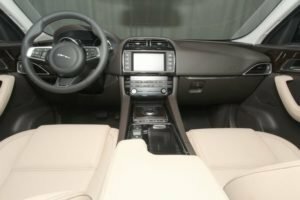 You will not be disappointed with the features on this 2018 Jaguar F-PACE. Some of these standard and optional features include panoramic sunroof, gesture tailgate, InControl® Touch Pro™, and head-up display. Enjoy the Meridian™ 825W Surround Sound System while listening to your favorite music. Safety features are also important in the new F-PACE. Some of these features include lane keep assist, traffic sign recognition, blind spot monitoring, adaptive cruise control, and park assist. 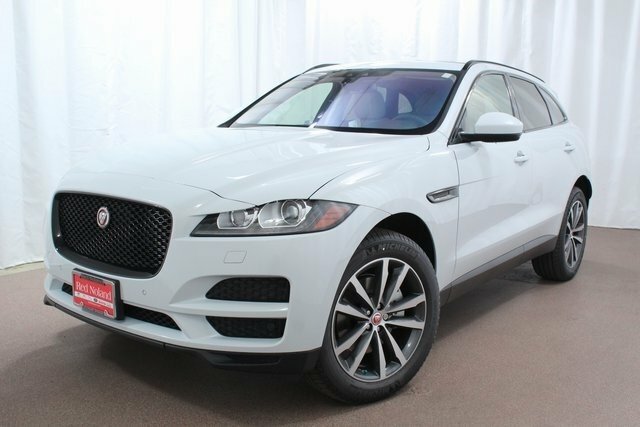 So, stop into Jaguar Colorado Springs to see this new 2018 Jaguar F-PACE performance SUV. The performance, features, and eye-catching styling make this the perfect vehicle for you. Whether you are looking for a vehicle for around town or to trek to the Colorado mountain, this one fits your need!